Get your cross training on... with Plank You Fitness. Home › Latest News › Get your cross training on... with Plank You Fitness. Cross straining is so important, so we are offering it in the store three mornings a week! In partnership with Plank You Fitness, enjoy an early morning workout by certified personal trainer Chad McCartney! 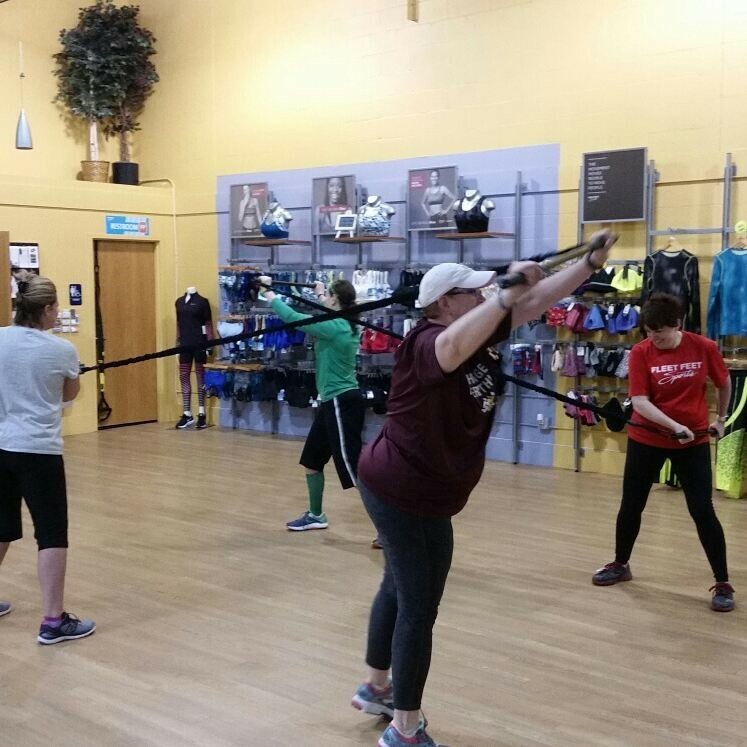 Classes are available at 5AM and 6AM on Tuesdays, Wednesdays, & Thursdays at the store (3404 W College Ave. in Appleton). Easy parking, bathrooms and dressing rooms available. The register will be open if items need to be purchased however no shoe or sports bra fittings will not be available. Program questions can be directed to Chad at: plankyoufitness@gmail.com.